Dr. Daniel B. Mendoza offers family-orientated, quality dentistry to residents of Redwood City, California. 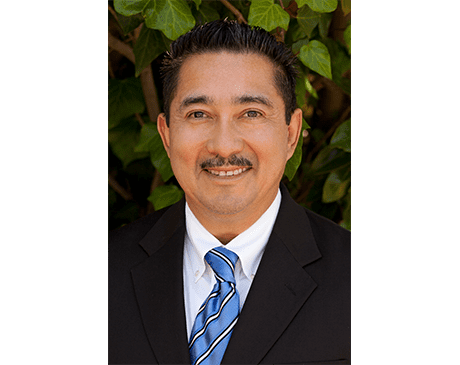 His love of the treatment side of dentistry has enabled him to serve the community for nearly 30 years at his practice, Daniel B. Mendoza & Associates. His proficiency in cosmetic dentistry is the reason for thousands of his patient’s beautiful smiles. Before attending dental school, Dr. Mendoza graduated with honors from California State University in Fullerton. During his time in dental school, Dr. Mendoza served as a teacher’s aide. In 1984, Dr. Mendoza graduated in the top 5% of his class at the University of California in San Francisco and became a member of the faculty. He’s been teaching and mentoring students for over 30 years. Dr. Mendoza teaches the art and science of dental morphology and occlusion, cosmetic dentistry, and restorative dentistry at UCSF’s Preventative and Restorative Dental Science department. Dr. Mendoza also attained the position of Clinical Professor in the Department of Preventive and Restorative Dental Sciences and lectured extensively on topics related to fixed prosthetics. He presently holds an appointment at UCSF as a Full Professor, Step 5. Dr. Mendoza is the course director for both the crown and bridge curriculum and the dental morphology curriculum for which he wrote the textbook. He also helped create several courses aimed at providing dental professionals with the technique and material updates required to maintain an active dental license. He has been an active member of Omicron Kappa Upsilon dental honor society since his induction at graduation, and served as vice president in 2000 and president in 2001. When he is not working, Dr. Mendoza loves to cycle, fly fish, and cook for his family.